Full original text, with English translations by Scotsman David Jack side-by-side the original Scots in a highly readable two-column format. Featuring an extensive introduction by Michael Phillips and fifteen full-page illustrations by Leighton Isaacs. Wish you could read MacDonald's novels with Scots dialogue without having to consult a dictionary or wonder if you were missing something? You are going to love our unique two-column format, with the original Scots on the left and an English translation on the right! 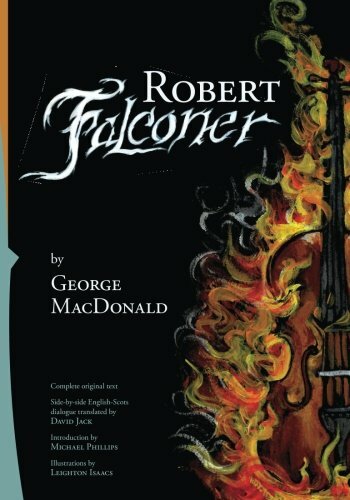 Scotsman David Jack reads from pages 122 to 123 of George MacDonald's classic Christian novel, Robert Falconer.